ST. GEORGE — A 29-year-old man’s attempt to escape police custody early Monday morning didn’t last long and only added new charges to the original arrest. 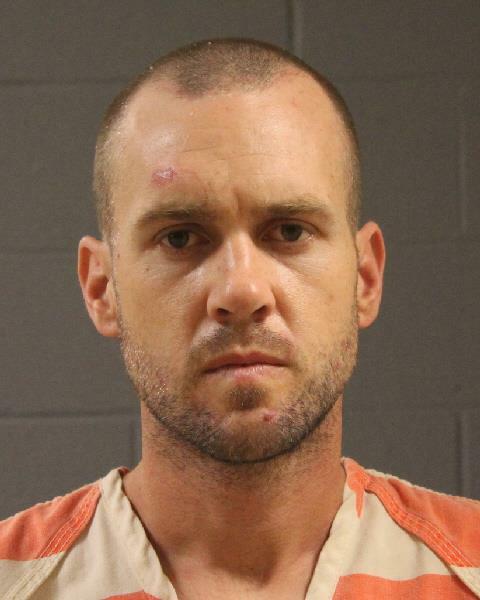 According to a probable cause statement, around 2:30 a.m., a St. George Police officer contacted a man who was acting suspicious in front of a home on 200 S. Main Street in St. George. The man identified himself as Garrett Bernell Lewis. The officer checked Lewis’ name and found he had two cash-only arrest warrants for $5,000 and $7,500 respectively. Lewis was also shown to have a Utah driver’s license that had been suspended in connection with an alcohol offense. The officer observed Lewis get in his truck and drive south on Main Street and subsequently initiated a traffic stop. The officer told Lewis about the warrants, to which Lewis is alleged to have said his real name was Clint Lewis and that he had given the officer his brother’s name by mistake, according to the probable cause statement. When the officer asked for identification, Lewis said he was unable to provide it. A check with the state’s database pulled up information that confirmed the man was Garrett Bernell Lewis. Lewis was taken into custody and placed in handcuffs. Officers on scene searched his person and began to inventory items in his truck. Suspected methamphetamine and drug paraphernalia were allegedly found on Lewis. Additional drugs and paraphernalia were found in the truck, as well as a Nevada license plate police believe had been stolen. Lewis was booked into the Washington County Purgatory Correctional Facility and charged with a third-degree felony offense of attempting to flee from officers, and multiple misdemeanor offenses related to failing to stop at an officer’s command, giving false information to police, drug and paraphernalia possession, driving with a suspend license, possession of stolen property and resisting arrest. Lewis was scheduled to appear in 5th District Court Monday afternoon.